Our Getting Started program is available for those students who turn two by September 1st prior to the start of the school year. The class runs in the morning from 9:15AM – 11:15AM on Friday mornings. Potty training not required. 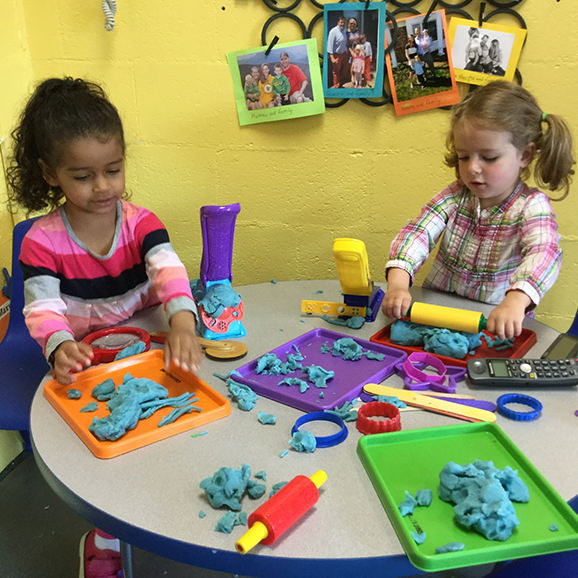 Our Twos program is available for those students who turn two BEFORE June 1st prior to the start of the school year. Class runs in the morning from 9:15AM – 11:15AM. Optional 3rd day available on Fridays. Potty training not required. 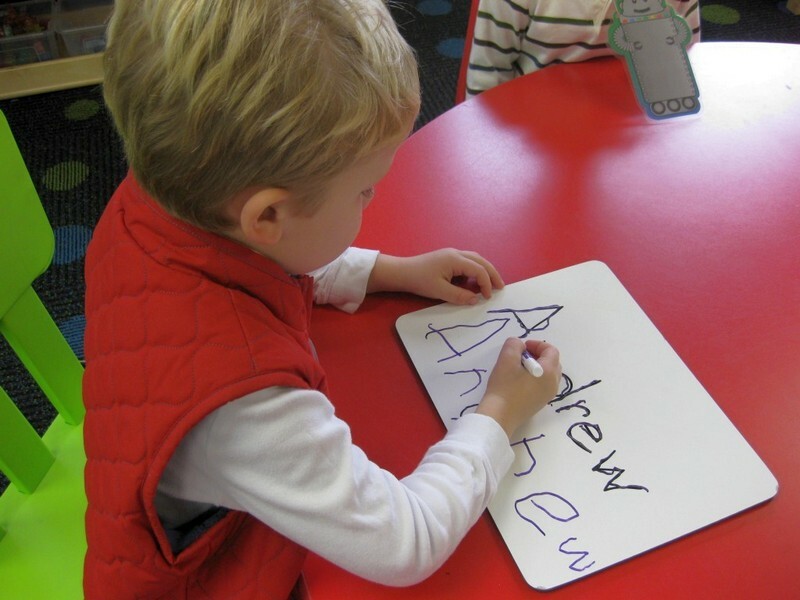 Our Threes program is available for those students who turn three BEFORE September 1st of that school year. Class runs in the morning from 9:00AM – 11:30AM or 12:30PM – 3:00PM. Optional extended day programs also available for children enrolled. 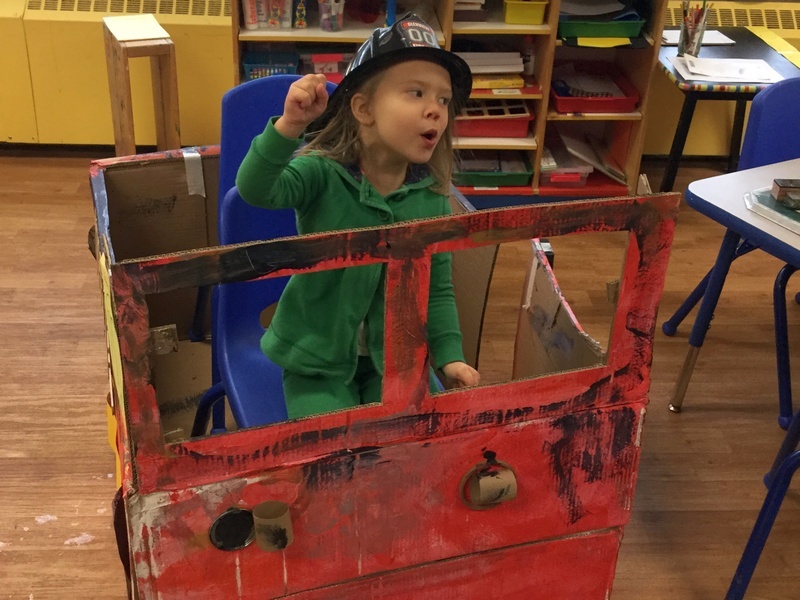 Our Fours program is available for those students who turn four BEFORE September 1st of that school year. Class runs in the morning from 9:00AM – 11:30AM or in the afternoon from 12:30-3:00pm. Optional extended day programs also available for children enrolled. 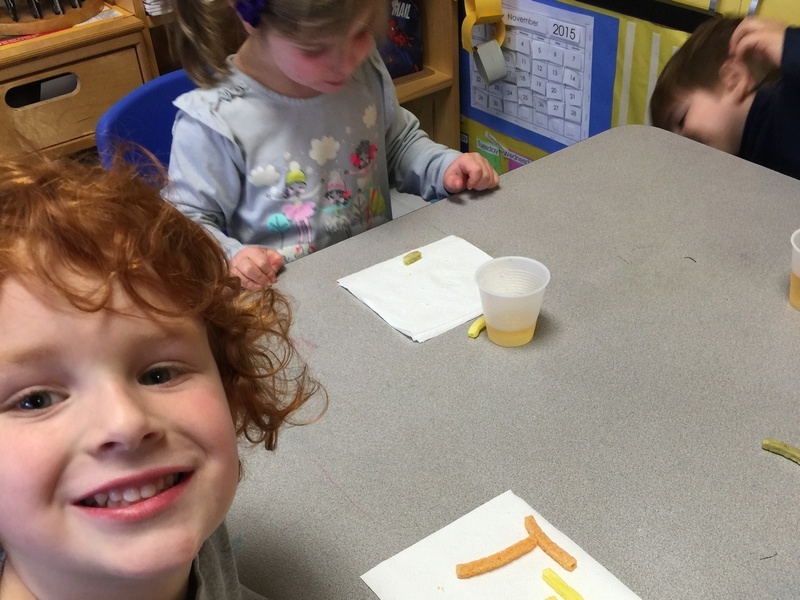 A kindergarten enrichment program designed to enhance children’s learning beyond the traditional kindergarten classroom. 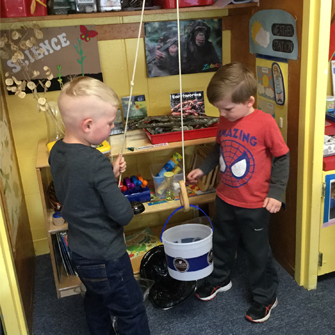 Children explore fun and creative hands-on activities in a rich learning environment. Morning and afternoon clubs available. 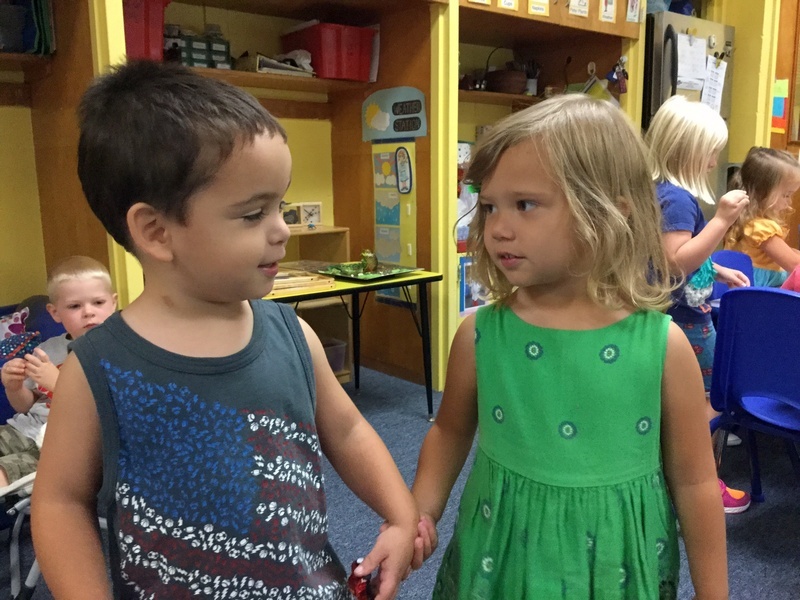 Each class meets 1x / week. Daily extended offerings provide an opportunity for enrolled students to enjoy extra time with friends for lunch and play. Themed activities change throughout the year. Students should bring a packed lunch including drink with them to school. No nuts allowed. Please see school allergy policy. 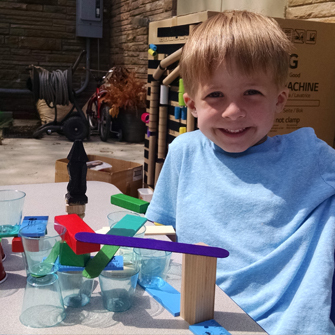 GMPS hosts two weeks of Summer Camp each year after school ends and is a parent and child favorite. Teachers come together to plan and partake in super fun filled days. Camp pick up and drop off right at school which provides a comforting and familiar experience for all. 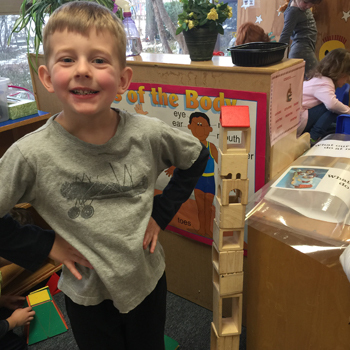 Our curriculum goals for this program can be found here. A list of daily scheduled activities can be found here. 2 day with an optional Friday add-on. 3 or 4 day options available. 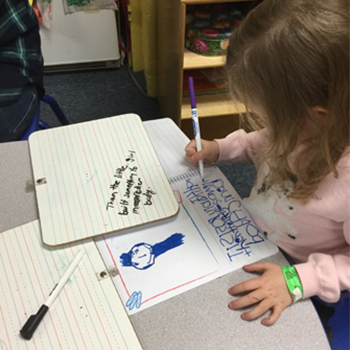 Utilizing both individual and cooperative group learning situations, children will build on what they are learning in Kindergarten and be exposed to an exciting curriculum. Each thematic unit may include science, language arts, math, social studies, geography, creative arts and cooking. 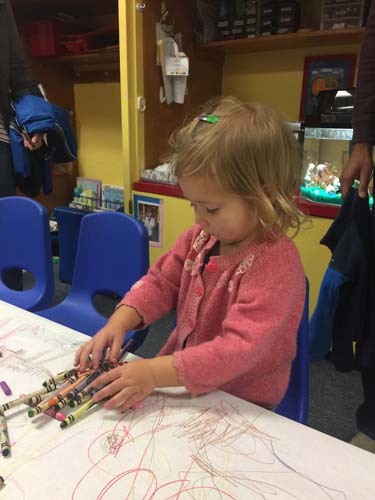 All children in the 3’s and 4’s program are invited to participate in our daily Extended Offerings enrichment programs. The sessions run from 11:30 – 1:15 pm for AM students and 11:30 – 12:30 for PM students. Children will bring their own peanut/tree nut free lunch and beverage and learn mealtime social skills while they eat as a group. Mondays, Tuesdays and Wednesdays are theme-based. Past subjects include: Cooks and Books, Little Linguists (Spanish and Italian), Coding and Robotics, Super Scientists, Motor Mania, and Tinker Makers. 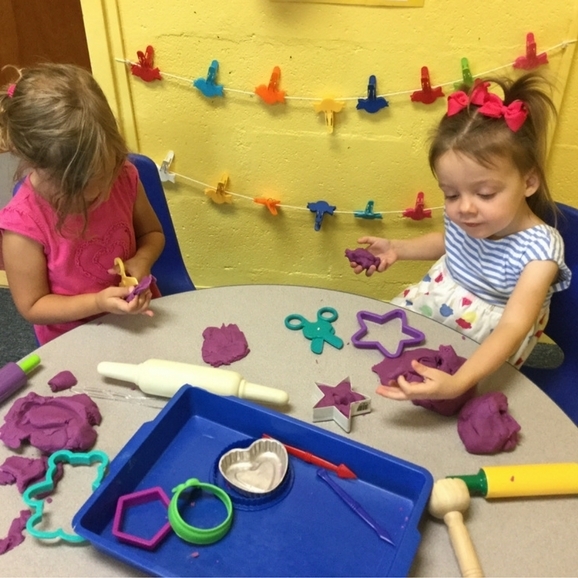 Thursdays and Fridays offer the opportunity to build further relationships with other children and enjoy extended unstructured playtime. These programs begin at the end of September and are divided into three sessions through out the school year. 2019 Camp will run May 28, 2019 – June 6, 2019. Mini-camp runs the first week following the end of the GMPS school year. It is a four-day program (Monday through Thursday) held at GMPS, with different themes for each day. 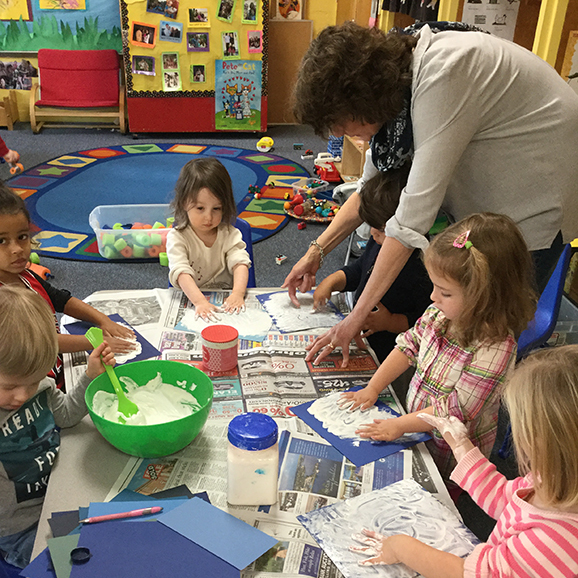 Themes for the week are carried out through activities, crafts & snacks. Mini-camp is staffed by our teachers. Camp runs from 9:00 to 12:00. 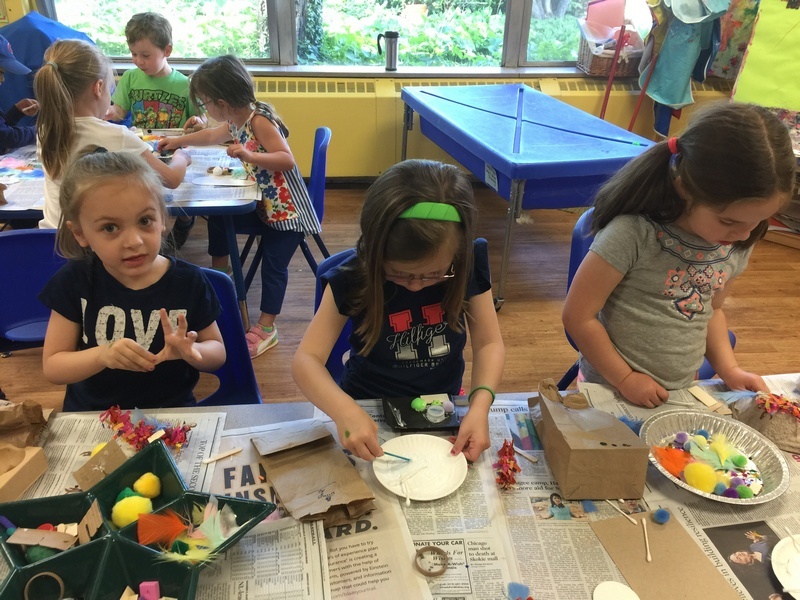 Parks & Crafts runs the second week following the end of the GMPS school year. 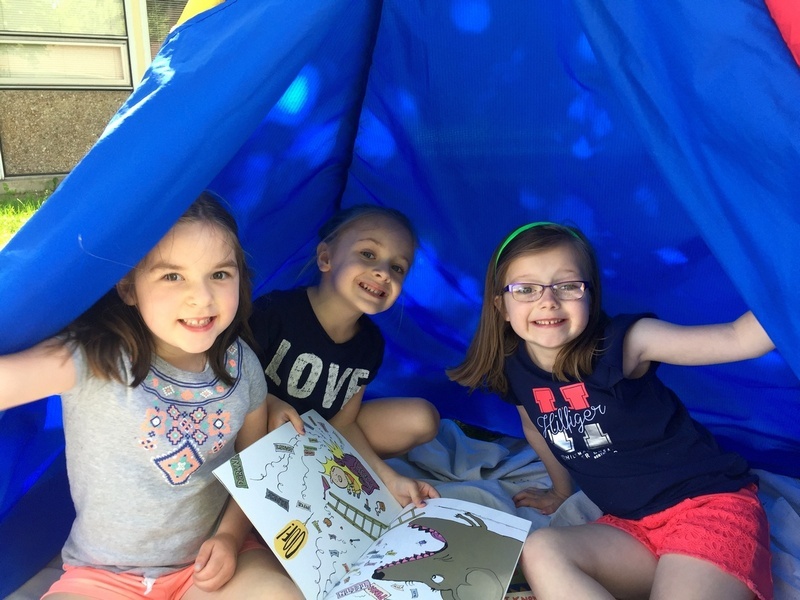 It is a four-day program (Monday through Wednesday) during which the children visit parks within walking distance of the preschool for outdoor play and planned craft and other activities. Parks & Crafts is also staffed by our current teachers. Camp runs from 9:00 to 12:00.